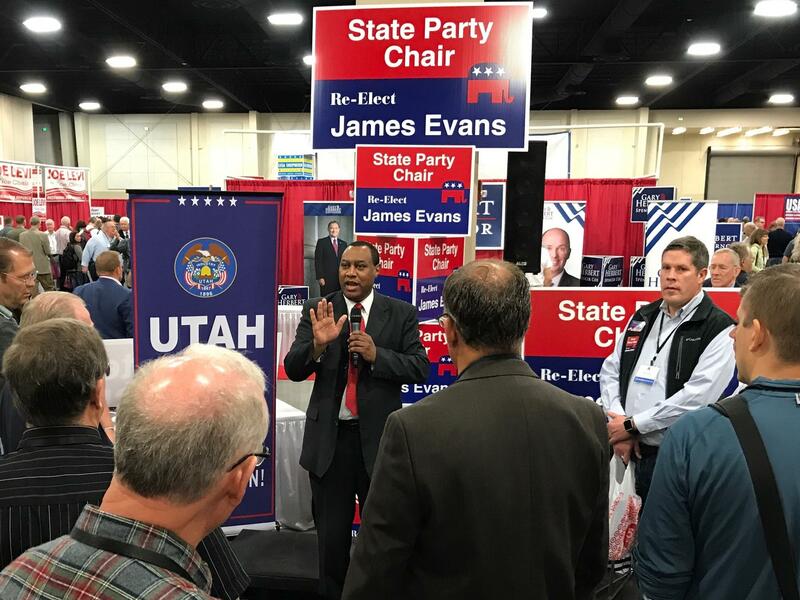 Former Utah GOP Chairman James Evans speaks to delegates at Saturday's nominating convention. Campaign signs for James Evans are hauled off after he lost his re-election bid Saturday to Rob Anderson. 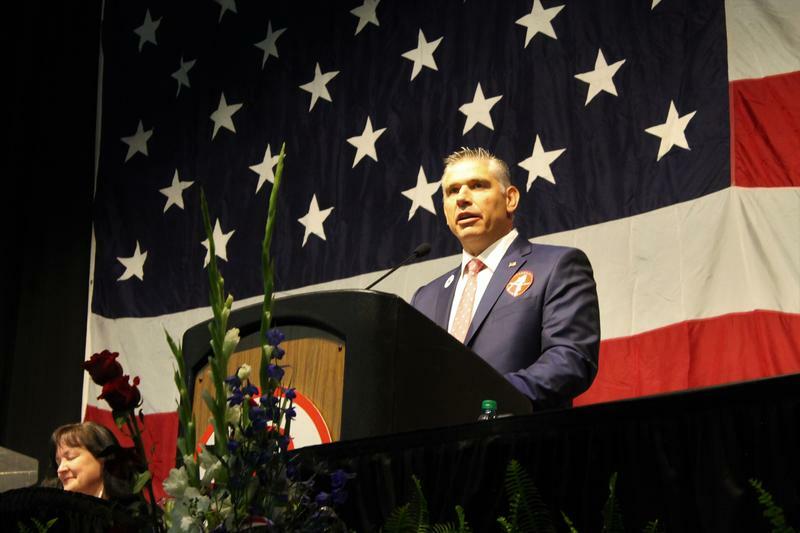 The Utah Republican Party's new chair Rob Anderson speaks at the party's nominating convention on Saturday. James Evan took credit for an increase in caucus attendance and more Republicans winning seats in the Utah House of Representatives. He also took credit for helping to end Utah’s designation as a flyover state during the 2016 presidential election. He joked that the reason he faced two challengers this year was because he made the job look easy. “I respectfully say I am best qualified and able to lead our party forward and unite us for continued success,” he told delegates. But Evans was defeated in the first round of voting after receiving just 27 percent of the delegate vote. Airline pilot Rob Anderson beat Vice Chairman Phill Wright by 56 percent of the vote in the second round to become the new party chair. He said the party is much worse-off than Evans suggests. Anderson said Evans failed to work with the Utah Legislature’s Republican majority to stop Senate Bill 54 from passing. SB 54 effectively overhauled Utah’s caucus and convention system and provided candidates a path to the ballot by gathering signatures. 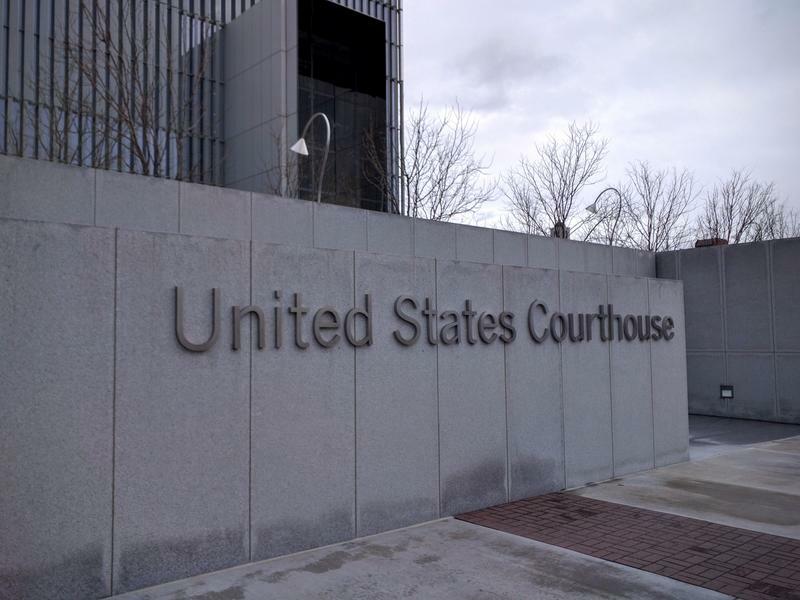 As a result, Anderson says Evans allowed the party to amass legal and operating debts while fighting to overturn the law. Evans argued the party has a surplus and will pay off its debts by the end of the year. “I think the delegates were saying, well, let’s just go in a different direction and maybe someone else can do something different,” he said. Anderson said he wants to welcome back disenfranchised Republicans and millennials to the party. He added he would commission a full audit of the party’s financial accounts within his first 30 days as chair. 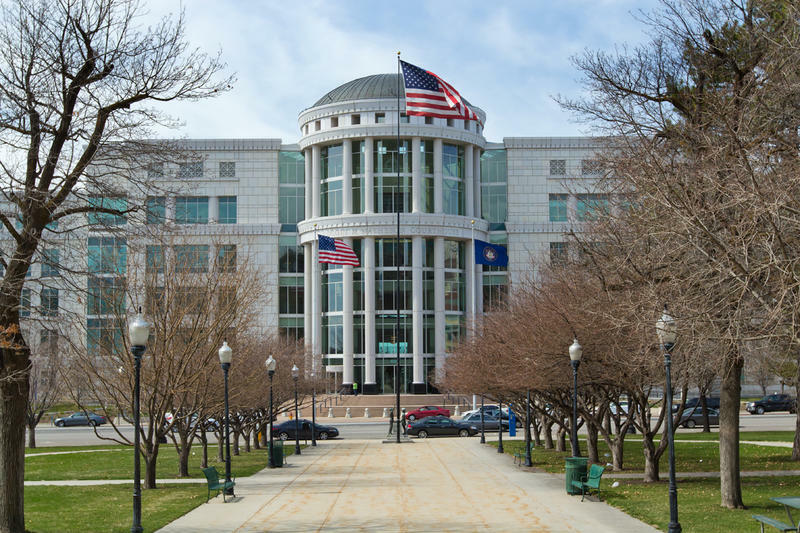 The Utah Supreme Court has issued an opinion clarifying the meaning of recent changes to Utah’s election laws.